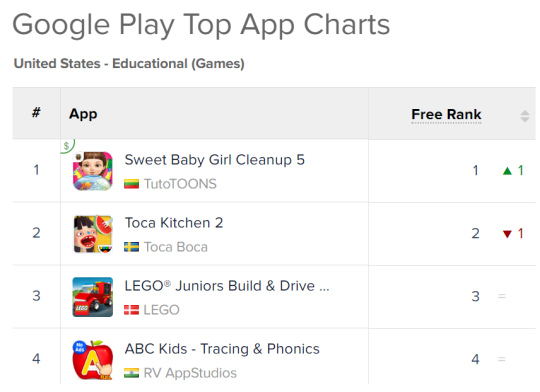 Hard work paid off – Sweet Baby Girl Cleanup 5 reached the first place in Google Play U.S. top app chart, both in Educational Games and Family Pretend Play categories. Looks like kids love helping Sweet Baby Girl Chloe keep the dream house clean and tidy. Download the game from Google Play, App Store or Amazon, and tell us what you think!